When I wrote this little “non-poem”, several years ago, I had been in a campground in central Florida for a couple of months. It was our first really long stay at one place during the winter in our RV. And we had really learned a lot about “long stay” camping. The most important lesson, I think, was just how to relax and enjoy your surroundings. The weather was so grand that winter, that at night we opened our side windows by our bed, to allow the night breezes to blow and keep us cool. The very first night, I noticed that if I turned onto my left side, in bed, the view out my window was of an enormous old Live Oak tree. The limbs of that majestic, old tree spread in all directions and were covered with long and beautiful strands of Spanish Moss. During the day, they were a beautiful combination. But at night, directly across the campground was a common yellow street light, and it gave a fantastic backlight to the Spanish Moss hanging on this majestic tree. Being a light sleeper, I wake up often during the night, and I often amuse myself with writing stories and such in my head. Often, I am so inspired by my idea that I get up and jot down notes on what I have come up with. Must of my “night notes”don’t survive the light of the day, but occasionally one will, and get turned into something like this story. 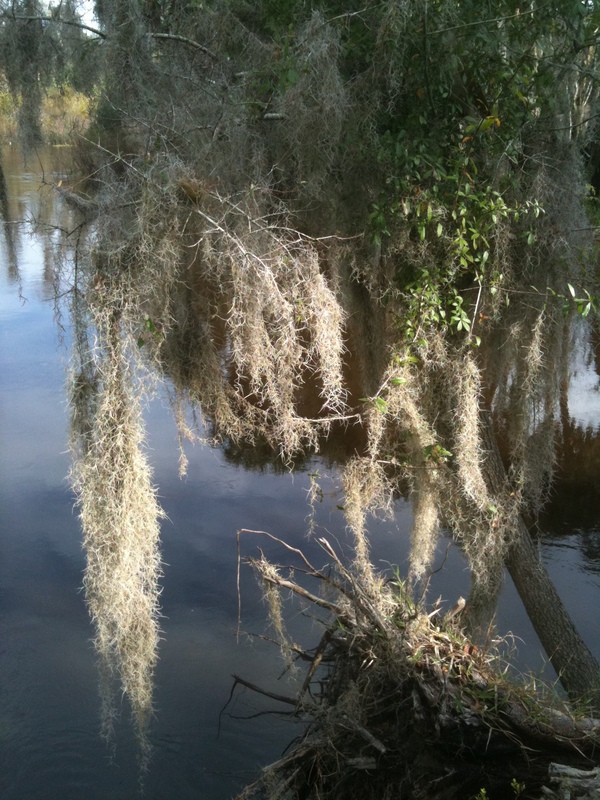 Anyway I go into the habit of just staring at this ight and shadow show presented to me by this combination of Tree Limbs, Spanish Moss, and the Night Winds, and I would let my imagination run free and sway with the Moss on the winds. You see, to me, what I was watching, out that little RV window really did give me the feeling of watching a complex ballet in the air. The view was often so compelling, and I would become so entranced, that I had to force myself to turn away and go back to sleep. I hope this writing of mine imparts some of that feeling to you, also. under my full bright Moon. by the pungent odors, of a nearby Lilac. for my fickle, yet hungry attention. in the flavors delivered by the wind. and shift of the fickle air. as I feed on the air itself. and my hunger never ends. Previous PostPrevious If you want me to read your Article or Hub, you must do these things.